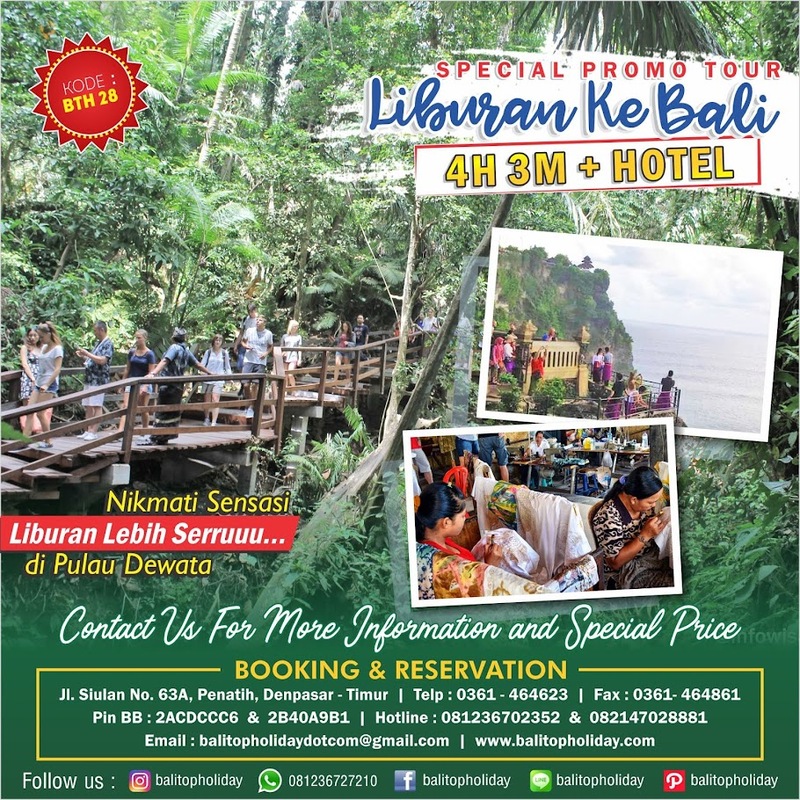 The area of Taman Nasional Bali Barat (West Bali National Park) situated at the Edge of north Bali Island is the stretch of green ground along the 150 km road that link Gilimanuk and Denpasar or Gilimanuk and Singaraja. 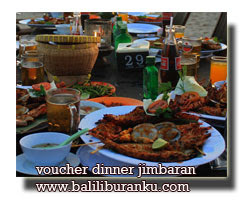 It is located between district of Gerokgak in Buleleng regency and district of Melaya in Jembrana regency. 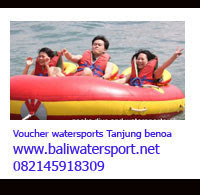 It is reachable from Gilimanuk as the main entrance to West Bali, and from Denpasar. This 77,000-hectare park was established in 1941. With almost 200,000 acres of arid forests and mangrove swamps, Bali Barat (West Bali) National Park is a valuable natural treasure. The park is home to several very rare species; foremost is the Bali starling, the island's mascot. Also known as Rothschild's mynah, this soft, white bird has a blue band around its eyes; the world's last 50 or so of these winged creatures are here, and an on-site breeding program is trying to save the species. Less rare but still of interest are several species of deer including the mouse deer and the barking deer and several types of monkeys, leopards, and civets. Lush forests still grow on Bali's southern and western slopes. West Bali National Park (covers 50,000 hectare on the western tip of the island. It also includes another 7,000 hectares of coral reef and coastal water. Considering in the small size of the island as a whole, the National Park is a major commitment towards attempting to preserve the wildlife found on Bali. The forest in this area has been determined as " Nature Park" - later on known as Taman Perlindungan Alam Bali - based on the decision of " Raja-Raja di Bali" (Kings in Bali) dated 13th August 1917 noE-1/4/5. This regulation is intended to preserve the flora and fauna in this area. The region is watered by clear streams and traversed by footpaths, which offer often steep but relatively easy walking. Explore the forested hills, scrub acacia near the coast, and the unspoiled reefs and dense mangrove swamps along Teluk Terima and the bays to the East. The diverse fauna exist here, including Jalak Putih Bali/Bali starling (Leuoeopsarrhotschildi) and Bull (Bos javanicus), Antelop (Muntiacus Muntjak), deer (Cervus timorensis), monkey (Presbytis cristata, Macaca sp. ), Scaly anteater ( Manis javanica), boar (Sus scrofa), hedgehog (Hystrix javanica), Sturnus melanotenus, Sturnus contra, Acridotenis fuscus, Picoides mucet, Orialus chinensis, Haliastur sp., Galus sp. Since Bali is such a densely populated, intensively cultivated island, very little wild forest is left. Such primary monsoon forests as remain (about 50,000 hectares) are found along the watershed at the western end of island, on the slopes of the mountains Sangiang, Merbuk, Musi, and Patas, an area not nearly as rugged as the higher mountains of eastern Bali. 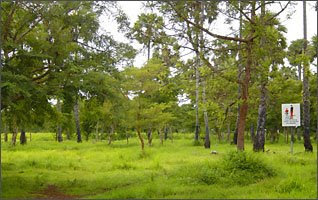 More like a forest than a jungle, the park offers exceptional walking and first class panoramas. The types of the land are forest, savannah, mangrove, coast, beach, and conservation forest. The plantation that formed the pure forest are sawo kecik (Manilkara kooki) and palm (Borrassus flellifer). Diving, Snorkelling, Boat Trips, Tours, Trekking, Hiking, Painting, Dancing, Cooking Classes. Bali Barat National Park has some interesting points to it, including a short circular hiking route, which starts at the Ranger Station. Along the north edge of the park, close to the coast, one will find fertile grasslands. There is a fishery research project going on at Pantai Gondol. The wild Samabar deer roam free, in on the NE slops of the park. Balinese Sapi (local cattle) are descended the wild benteng, that live on the SE slopes of the park. Benteng are rare but you might be luck. A hundred years ago Bali and Java had tigers, wouldn’t that be a treat! The mountains sitting on an East-West axis, split the park in 2, with the wetter scenery on the southern side, the dry grassland on the northern, which is dotted with acacia, palms and shrubs. In the far NW of the park lies Menjangan Island, a favourite with divers. 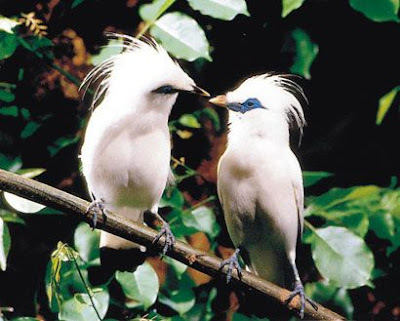 Bali’s only remaining native bird, the Bali Starling is still alive in the national park. Close to the Ranger Station is a breeding facility for the Bali Starlings. The deal with access to the park is you need a permit, obtainable at the park HQ, for overnight travel, or extensive trekking. The only hiking trails are near the park HQ, but intrepid souls might fancy heading off into the wilderness. 1. Indonesia Forestry Service (PHPA) office, Jl. Suwung 40, BOX 329, Denpasar. 8am- 2pm Mon-Thurs, 8-11am Fri, 8am-noon Sat.